The Audioquest Meteor 12 foot speaker cables have taken every facet of my system to yet another level of performance that I thought was the stuff of dreams. Every parameter has radically improved. There is not one single area that has benefitted more than another, as all have improved by wide margins. Listening to The Eagles "One of These Nights" has revealed faint guitar tracks that I had never heard before on the opening track, and a host of other micro and macro-details that were previously unknown to me. The ability of these wires to transform the SDA capabilities of the 1.2TL's has taken them to a level that sonically mimic my retired Magnepan MG-20's with regards to transparency, image positioning and depth. While they were always a good speaker to my ear, that seemed to always lack the ability to do what the Maggies did so well. I can now say they excel in that regard, and better them in the lower octaves. I don't know how much of this improvement is due to the cable's configuration. They are a true double bi-wire, meaning two full runs of Meteor wire for each cable. Retail pricing for them would have been over 15k, and at that price I can say I would have never dipped my toe anywhere near that pool. Priced at 1450.00 used, and especially for that double run, these cables are a HUGE bargain. I have seen them selling at 3k for an 8 foot pair, so I feel very fortunate. It also re-enforces my "buy used" philosophy. I will continue to hunt for bargains. Cables are of equal importance to everything else in your rig, and if you are serious about high-performance audio, they should be given as much consideration and importance as everything else within your setup. Doing anything else only diminishes the time and effort spent in pursuit of better audio to begin with. I used to think that, but after a number of upgrades, and wasted money, I realized that cables (power, interconnect, speaker) are the foundation of a good stereo. Build a good foundation, and all future gear upgrades will work at their best. It is truly astonishing just how dramatic the improvement is. I am identifying more voices within tracks, more instruments, more depth within the acoustic space, just more of everything, and a much lower noise floor. All I have at the moment is WOW! Have another beer, and it will sound even better. Cables, room, and rack are the three baselines for a system. If you don’t get those taken care of all you hear is their impact on the sound, not the active components actual sound. I’m glad you are going down this path. I am thinking the interconnects from preamp to amp will be my last move, but I will take some time to find the right match. The synergy is just so good right now, but I know there is still more in there to get out. I need to pay attention to what I am hearing before I make any more moves. I think the next step is getting my dreadnaught built. I still have my transformer and case from the group buy before this most recent one. OMG what are you waiting for on the dreadnaught build?? The elimination of ground noise that you don't even know is there will bring those new cables as well as your whole system to a whole new level. Congrats to you on the new cables; sounds like you landed some excellent performers and one heck of a bargain as well. Won't get any arguments from me, I'm a big proponent of what cables can do for a system. I just shake my head sometimes when I see good high quality systems hooked up with sub par cables. They don't know what they're missing. Joey would be a perfect example, when he had his ML Summits hooked up with monster wire I believe, or the equivalent. Look at him now, all grown up and everything. Glad your digging them John, but...wtf took you so long bro ? What brand speaker cables where there before? I forget. Nice comments John. I like "wow" it says it all. Being a newbie cable believer, I too have heard improvements as I upgrade the cables. Journey continues, always looking for a bargain on the used market. I must say, you got a smoking deal on those! That's something even Verb would have pounced on! Congratulations! Imagine what I thought when I put in the AQ Wels. Love that Riv! The clamshell headlights are way cool! I'm good on cables and took the plunge on top of the line ropes and just have to say those look pretty tough. Congrats! I won't be cutting these up for the Dreadnaught... If I choose to separate them, I might loan out a set for in-home demos. There's one within about an hour of me...bit of a hike for you but it's only gas money. May not be the same year. 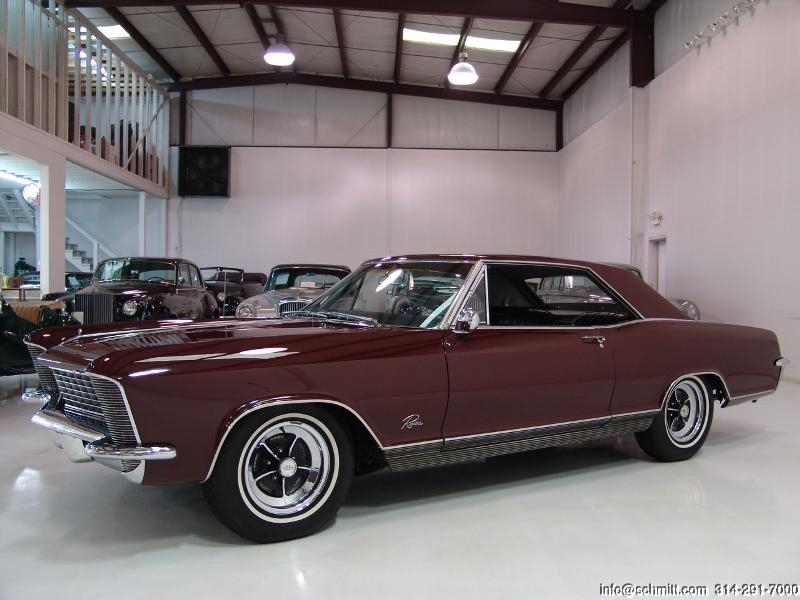 The first is a ‘64... nice car but there is zero chance he has a numbers matching car with a 401 in it. All ‘64’s had the 425. All ‘64’s had the 425. Interesting....wasn't aware of that...love that color though. That 425 was one heck of an engine too. Turned your family car into a sleeper street racer that could lay rubber for half a block.